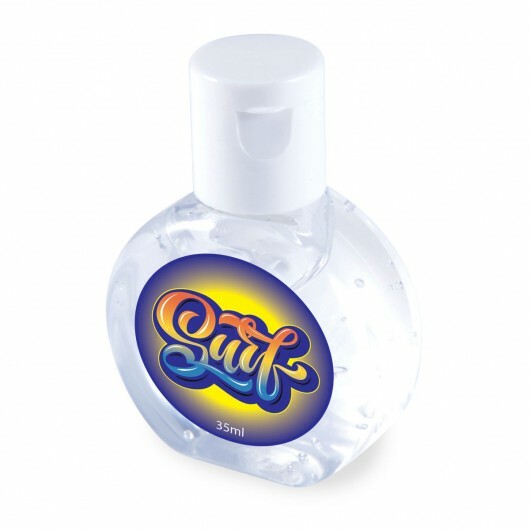 Say goodbye to germs and nasties with these convenient gel hand sanitisers - featuring your logo. 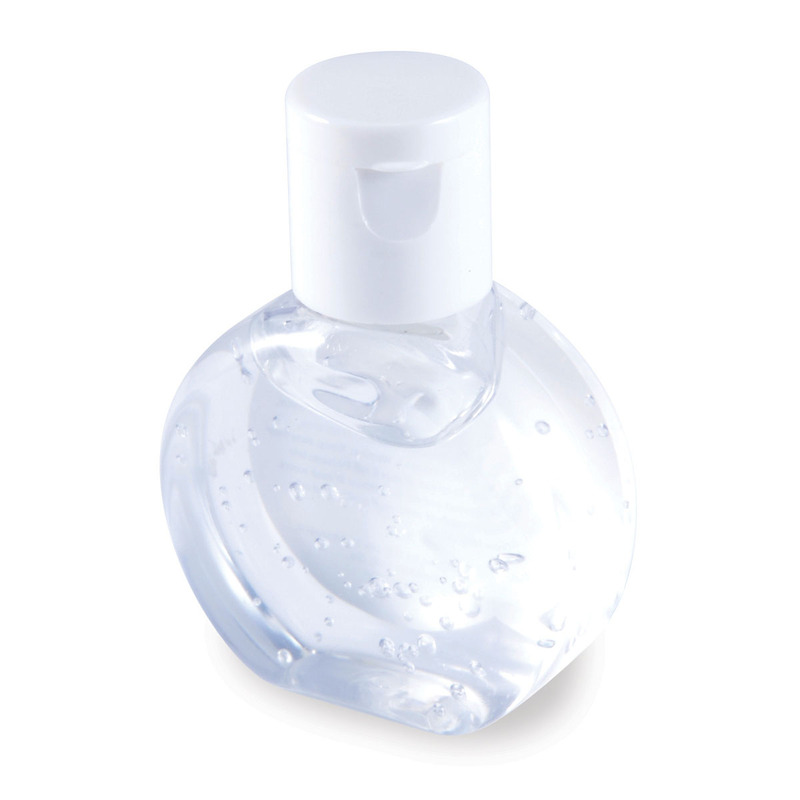 Having a hand sanitizer handy is always a good idea - whether it's flu season, you have a flight or simply want to remain clean and germ free. These 35mL bottles are the perfect size and when decorated with your will stand out. They bottles have a white lid, citrus fragrance and are alcohol based. 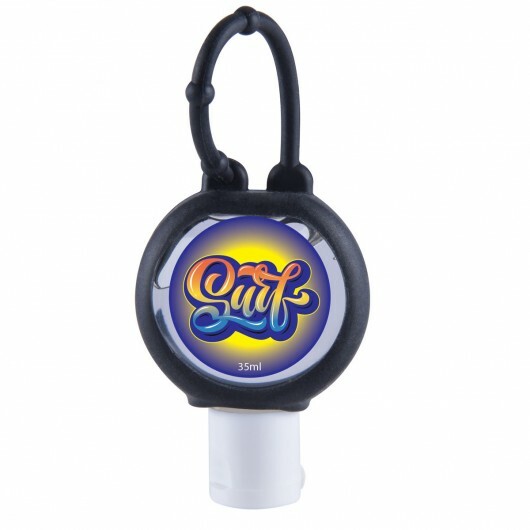 We also can stock these with a silicone holder for an additional extra cost - ask us. Decoration Area Full Colour Label: 35mm Dia.